Building a mobile app used to be a difficult job and only well-versed mobile developers had the ability to do it. But as the mobile development industry evolved over the last few years, the bar for creating an iOS app lowered, and so did the price. Both entrepreneurs and beginners in programming can easily create their own iOS apps now, with minimum coding skills, thanks to a ton of app templates that have emerged as the mobile industry took off. In this article, we are listing the best free iOS app templates of 2018, which you can freely use to create your own app in just a few minutes and with no financial investment. These app templates are also a great way to learn Swift or Objective-C or to just get your hands dirty with the iOS development process. It comes with an amazing community and with extensive documentation on how to get started. 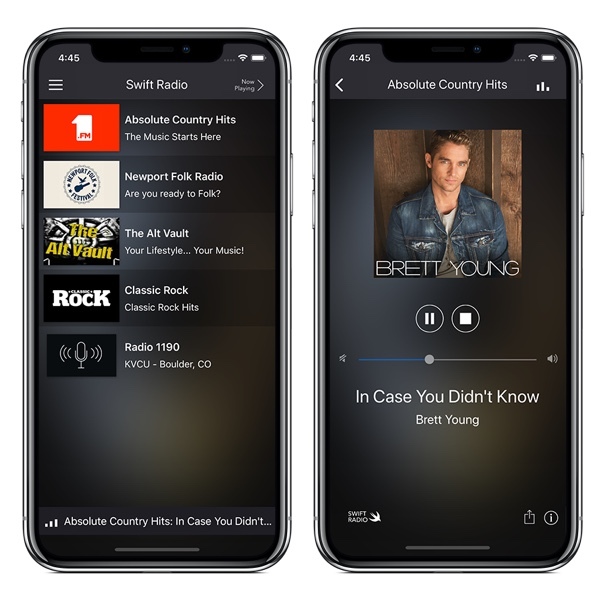 Definitely one of the best project to check out before you start building your own radio station app. Instagram exploded in the past years, reaching over 1 billion users. Their main breakthrough was adding photo filters into their app. If you’re looking to build any social network app, chatting app or photo-sharing app, having a photo editing functionality is crucial to the success of your venture. Don’t reinvent the wheel by starting such a feature from scratch. We got you covered. Meet PixPic – an open-source Photo Editing iOS app template. 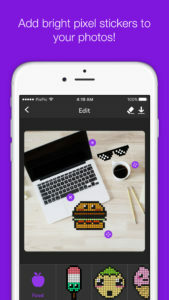 This fully functional project allows users to edit their photos, by adding stickers to them. With more than 1000 Github stars, the Swift project can also help new iOS developers who are barely getting started with Swift development, by providing them with a great architecture lesson – the template is a great way to learn the most popular design patterns (MVC), given its clean architecture. 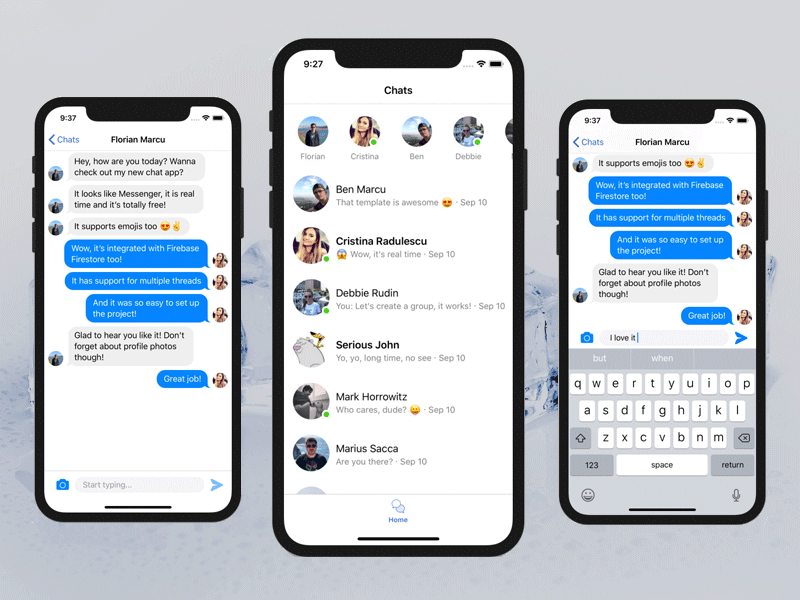 If you’re looking for more advanced messaging features, such as group chats or photo sharing, you can also check out the Pro version: an amazing Group Chat App Template. Cryptocurrencies have gone mainstream within the last year, so more and more crypto apps are popping up. 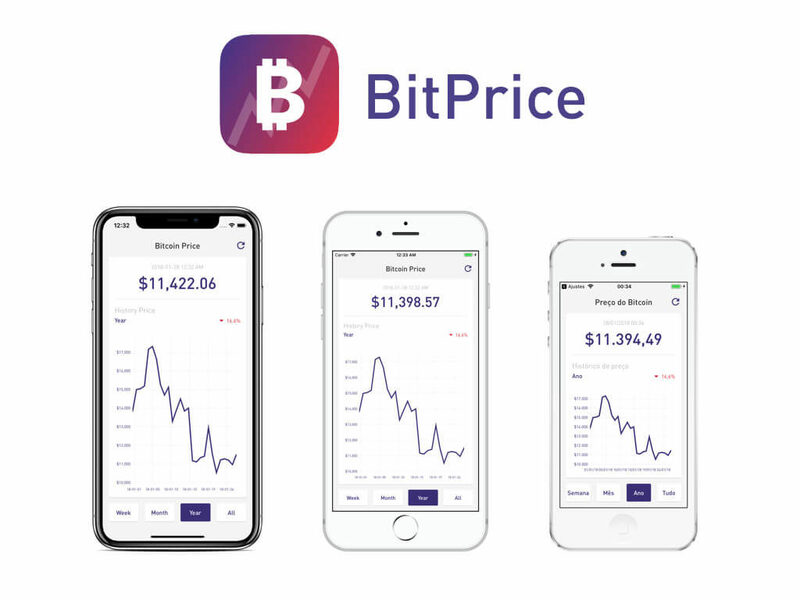 If you’re looking to make your own cryptocurrency iOS app, you might wanna take a look at BitPrice – a crypto iOS app tracking the price of Bitcoin. You can monitor the price with a simple chart. The dashboard has only one app screen, but it supports multiple time intervals for the prices (week, month, year). It’s definitely a great way to get yourself familiar with crypto finance iOS development. 99% of apps require users to create an account and then log in. Most of the apps offer a single sign-on solution for user registration, such as Facebook Login. This means that most iOS developers will need to implement a Facebook Login at some point in their career. The tasks of integrating Facebook SDKs and Firebase SDKs can easily take a few days, especially if you run into any build issues with the dependency graph. 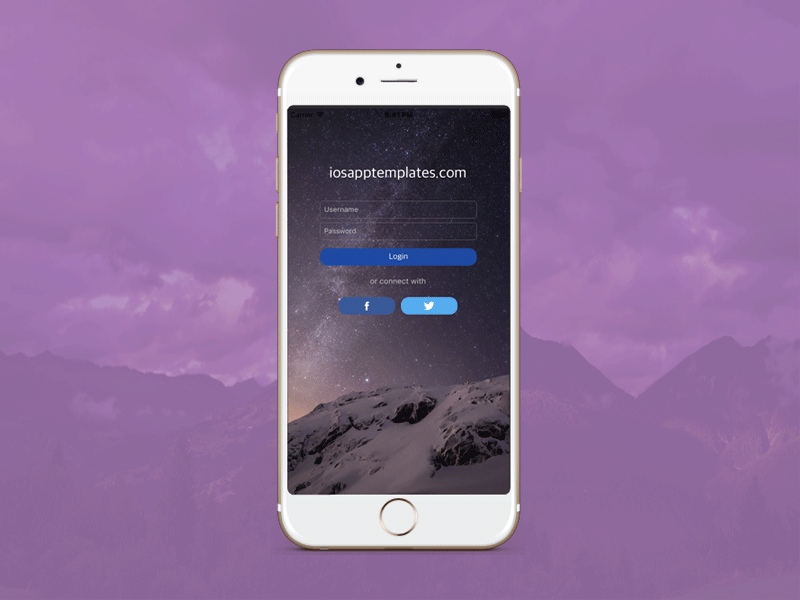 Jumpstart your app development and start with an existing onboarding template, such as this free swift login screen template, created by Instamobile. The Github repo also comes with detailed documentation on how to get started and how to set up all your 3rd party app keys. Give it a shot and make sure you provide feedback to the team. These are the best free iOS app template of 2018. In case we missed anything beautiful, please let us know in the comments. We’d love to learn more.